Man Overboard will be headlining on the Pop Punk The Vote Tour. 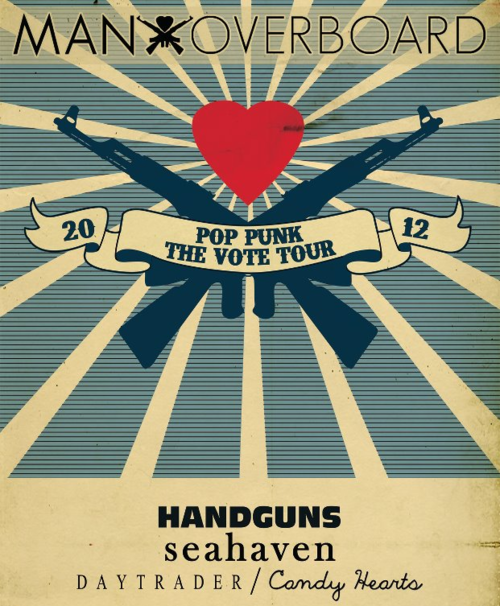 Supporting will be Handguns, Seahaven, Daytrader and Candy Hearts. And to go along with the voting theme, the fans will be able to vote for the set lists!